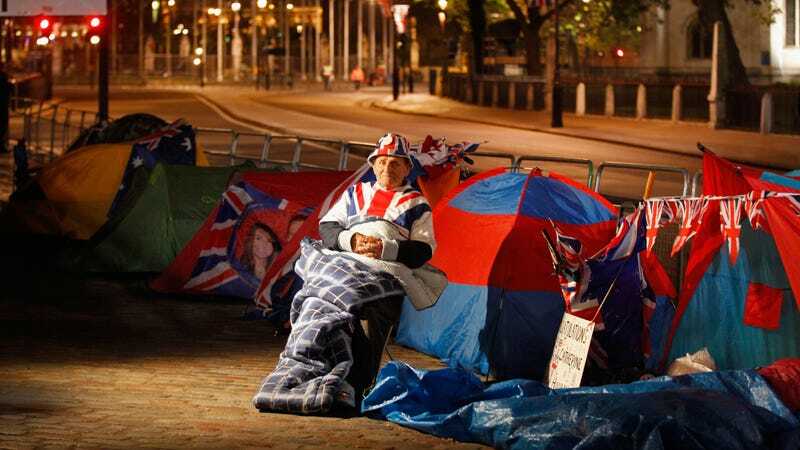 Very sorry to inform all of you die-hard royalists that you will not be able to pitch your custom tent emblazoned with the Union Jack and faces of various royal family members along the procession route for Harry and Meghan’s upcoming nuptials. “Our main advice for anyone wishing to join us in Windsor for the royal wedding is to plan ahead: pre-plan and book your transport, make sure you arrive early, think carefully about what to bring with you and most of all, don’t forget to come back and visit Windsor again. There goes my plan to find some big group of friendly older American women, with a nice swanky tent, and throw myself on their mercy. (Maybe even with good snacks? Perhaps some prosecco?) Guess I’ll just have to pack my trusty LL Bean raincoat and hope for the best.